A well-designed office space has several purposes. 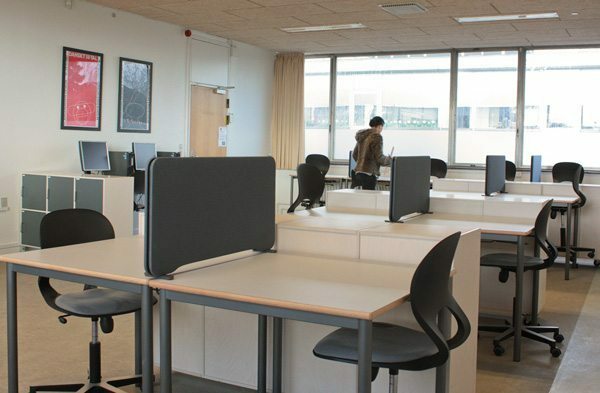 First and foremost, the decor must support the work functions and types of cooperation that take place in the workplace, while providing each employee with a workplace that can be adapted as needed. The physical framework surrounding meeting activities may invite formal or informal meetings and should be a significant factor in setting the atmosphere around the communication. This should always be included in the layout of the meeting room. Meeting room furnished with products from Howe 40/4 chair along with Moveo flip top tables, with integrated cable access and cable tray beneath the table. The room, which is used for different purposes and has foldable walls, needed to flexible. 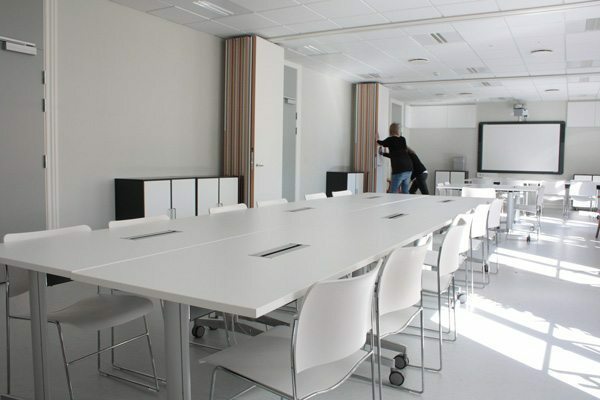 That is why the Moveo table with easy flip functionality and the 40/4 with excellent stacking capabilities was chosen. 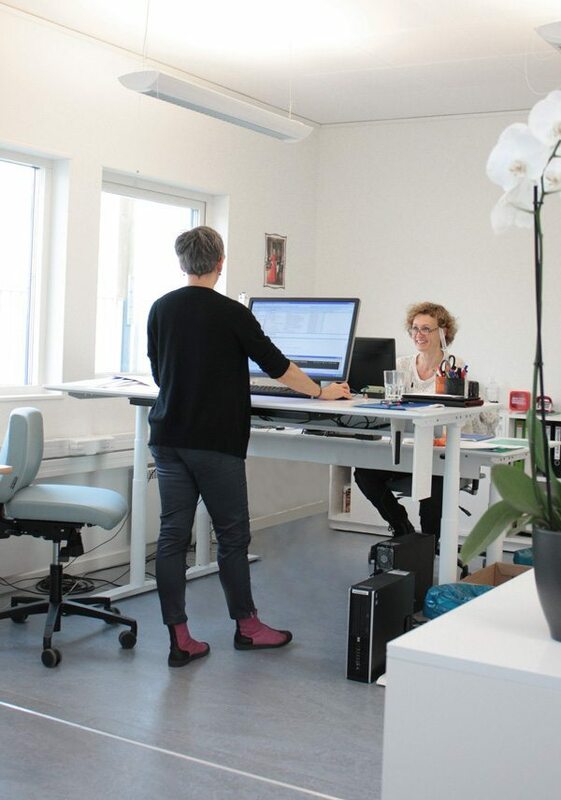 Ergonomics is in focus, so the choice of furniture easily falls on Flow height adjustable table. Here in white, combined with Series 800 office chairs with wool for a high resistance to wear and breathability is important when using the chair for many hours on a daily basis. A harmony of practicality and visually stimulating decor. Quattro bookcases in laminate are both simple and strong, with laminate on every surface. 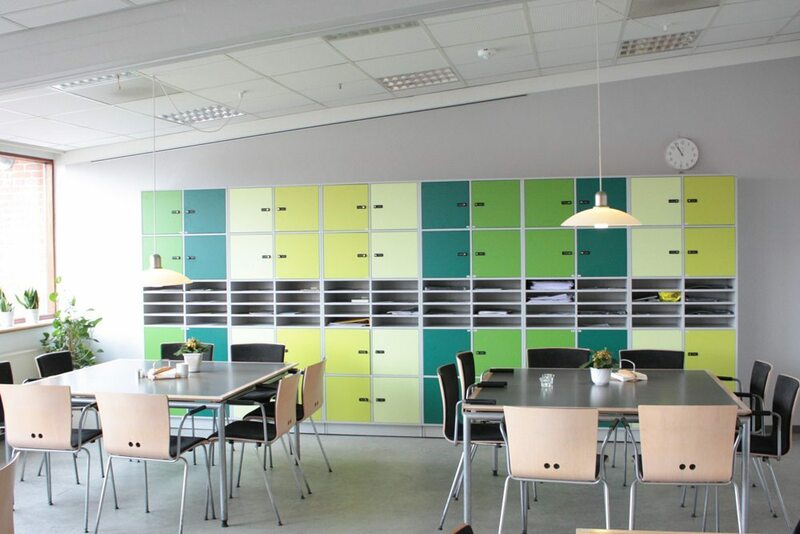 Here it is aesthetically displayed in a dovecote solution combined with lockers for staff with combination locks. 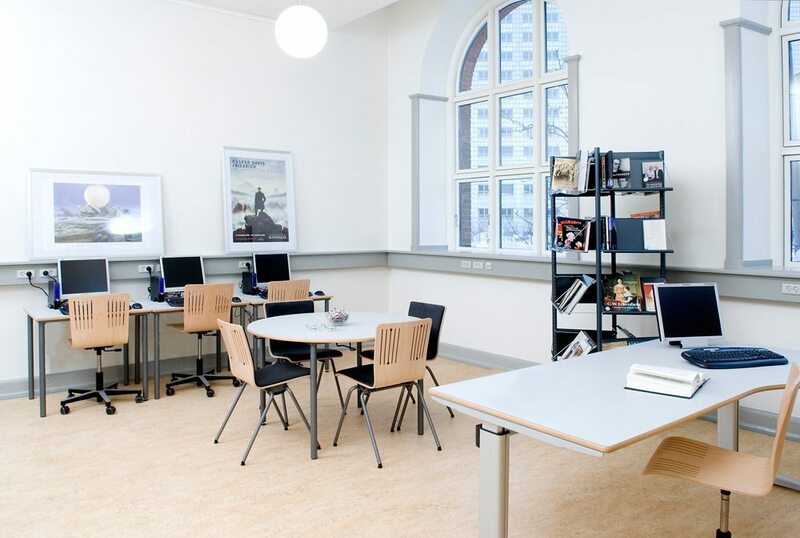 Preparation room for both teachers and students, with workstations divided by Edge table screen walls, mounted on group tables with suspension fitting the Orion Gas chair. Orion gas chair with weight regulated pitch was chosen with upholstering, to contrast the black color of the rest of the chair, and also compliment the color on the screen wall and the Quattro bookcases. 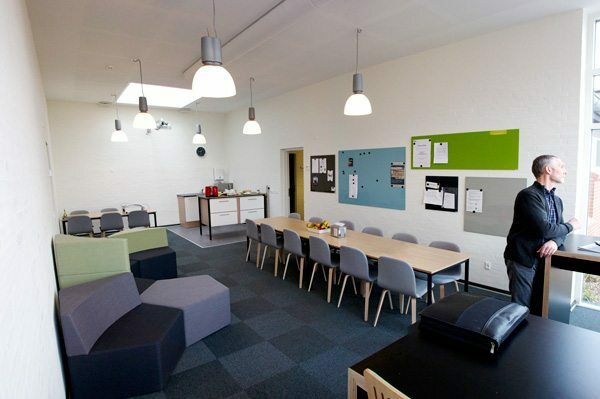 Preparation room and teacher’s lounge combined, featuring the Manhattan lounge in different heights for providing dynamics to the room. The TakeMe chair provides excellent comfort with its stylish upholstering. Finally, high gable tables with Nova barstools with a high back support against the high windows provides calm, away from the busy activities on the outside of the glass. The multi bookcase series made of plywood with laminate on all surfaces, distinguishes itself especially by its door design where the hinges allow the door to rotate completely across the side of the rack and, as the handle is folded in the edge of the door, there are no dents or the risk of children hanging in the handles. The Nova Gas chair with smooth pitch is used as a work chair, the soft floating tip is highly flexible and makes it easy to sit for longer periods of time.